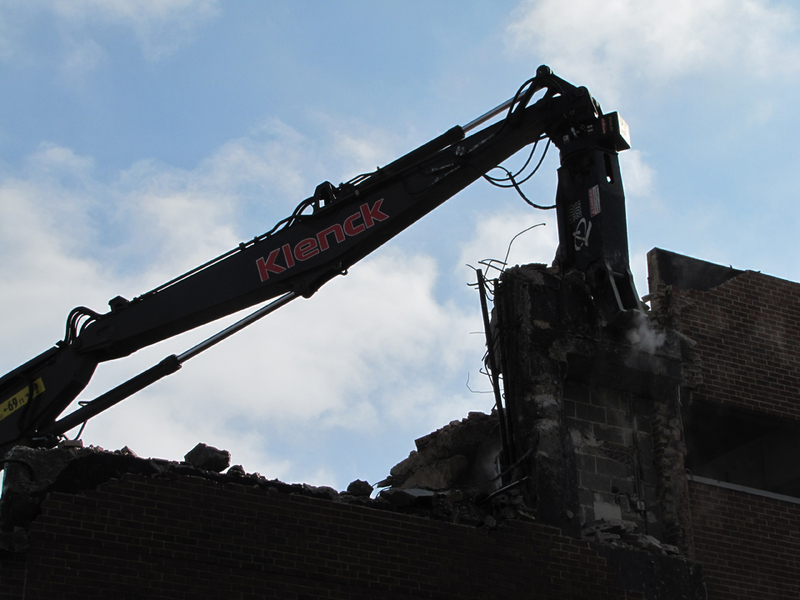 UPDATE: Klenck Company has begun demolition activities on the Memorial Medical Center parking garage project. After extensive pre-demolition timber erection and adjacent building protections, the Volvo 360 UHD excavator begins demolition on the North face of the building. 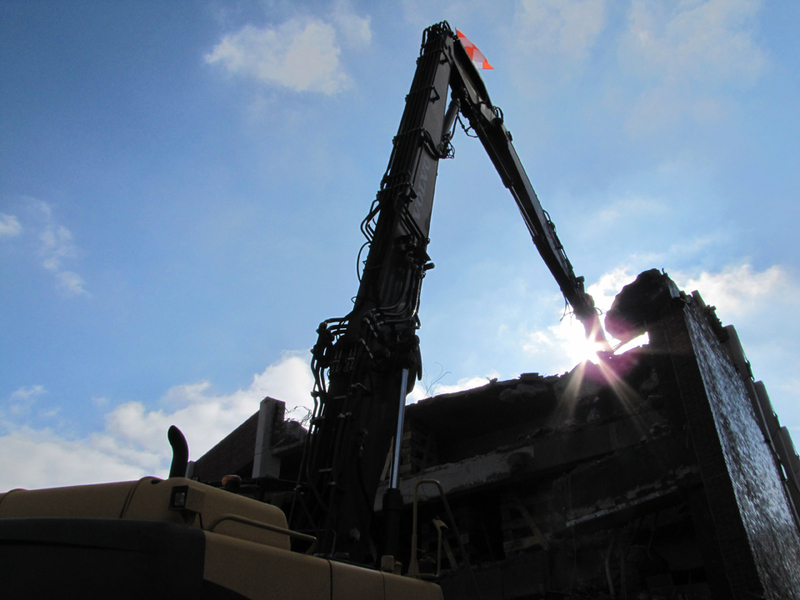 The secondary machine, a Volvo 330 with Universal Processor and concrete cracker head, works to aid in the structural demolition. The timbers will be salvaged during the project and reused, the concrete will be crushed and utilized on future construction projects, and the scrap steel will be sent to the recycling yard. Once complete, 99% by weight of the will be reused or repurposed. Of the many challenges faced by demolition contractors, post-tensioned concrete structures offer additional obstacles to safely completing a project. In order to allow a safe release of stored energy, the reverse sequence of the original construction procedure is required. The timbers used for the tower cribbing in the photos posted are 12”x12”x 6’. Klenck Company crews are currently constructing these towers to support the structure as the Volvo 360 UHD is used to crunch the concrete, release the cables, and demolish the structure. The cribbing operation will continue through December with a projected demolition start date of January 2.